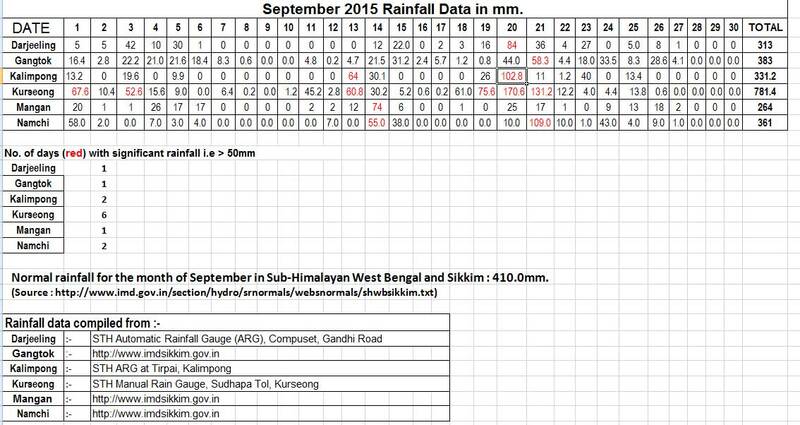 Visions of Hell: Rainfall data Darjeeling-Sikkim Sep2015 and monsoon withdrawal. 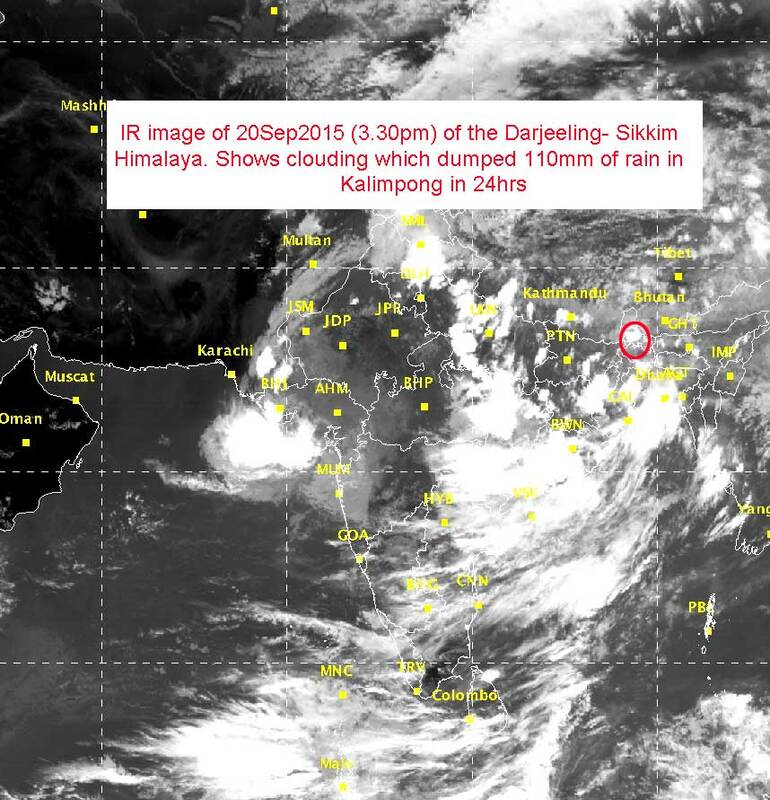 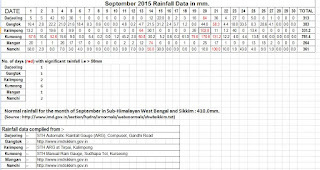 Rainfall data Darjeeling-Sikkim Sep2015 and monsoon withdrawal. 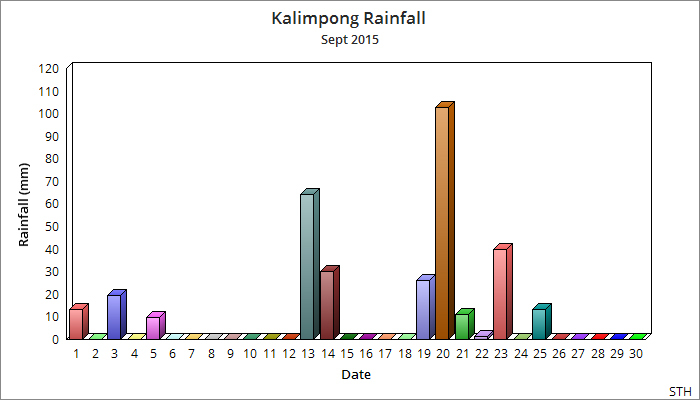 Sep2015 again saw us getting deficient rainfall even though Kurseong (as always) had higher than normal precipitation. 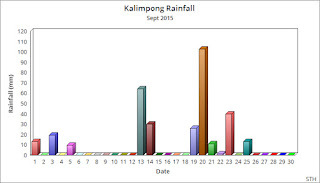 What is worrisome is the peaking of rainfall (see graph above) on certain dates, which seems to be the established trend in our rainfall pattern now.